April 21, 2012 - International Executive Seminar - "Measuring Success as Regional Partners"
In a collaborative effort, Texas A&M International University and representatives of NASCO - USA, the U.S. Consul, Instituto Tamaulipeco para los Migrantes, Grupo de Oro (Michoacán), Puerto Lázaro Cárdenas, and Eagle Ford Shale will train Mexican and American public servants in order to create a better understanding and awarness of growing opportunities for professionals. For more information please click on the links above. 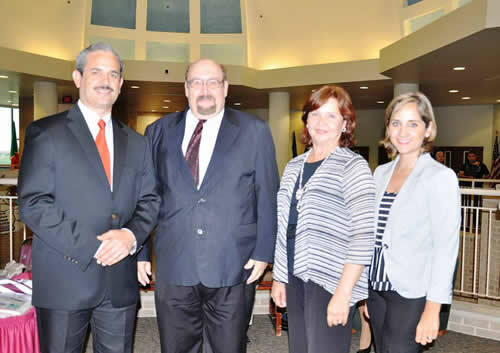 In a collaborative effort, Texas A&M International University and the Department of State will train Mexican public servants in order to create a better understanding and awarness of growing opportunities for professionals in a small group setting. For more information please click on the links above. 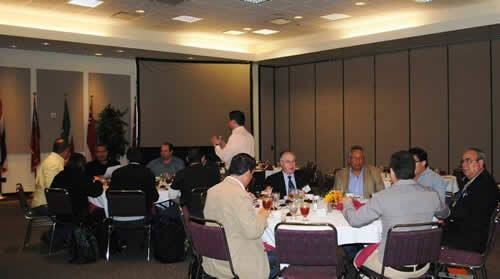 This was the first Eagle Ford Consortium Meeting in Laredo. 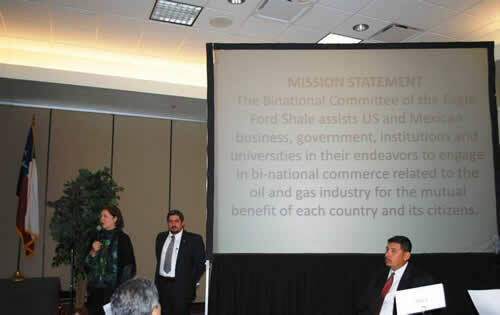 At this event, the new Binational Committee of the Eagle Ford Shale Consortium was introduced. The mission of this new committee is to assist US and Mexico business, government, institutions, and universities in their endeavors to engage in bi-national commerce related to the oil and gas industry for the mutual benefit of each country and its citizens. Some of the presenters at the event were AMESPAC Director Antonio Juárez, CNH Commissioner Guillermo Dominguez, Mexico City Attorney Javier Zenteno of Zenteno-Lira Mora Abogados, and Mexico City Attorney Juan Carlos Solis of Solis Mendoza Abogados. Please see list below for their presentations, and click here to see the agenda for the day. "Energy Reform in Mexico: Impact on Foreign Investors" by Lic. Juan Carlos Solis of Solis Mendoza Abogados. The Binational Center and Mrs. Patricia Keck hosted a meeting where all parties linked to the healthcare sector of the Eagle Ford Shale boom could gather and share ideas to improve our community. 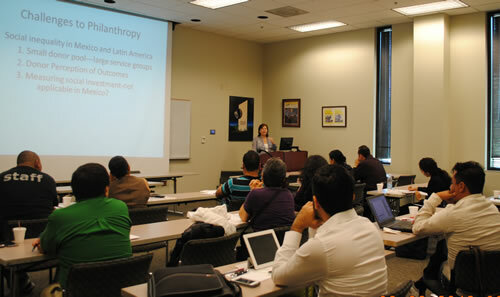 Some of the presenters included Sister Maria Luisa Vera, Fire Chief Steve Landin, Dr. Hector Gonzalez, Rene Lopez from Doctor's Hospital, John Ulbricht from LMC, and Julie Bazan from the Laredo Health Coalition who covered topics such as Public Health Perspective, Hospital Perspective, and First Responders Perspective. 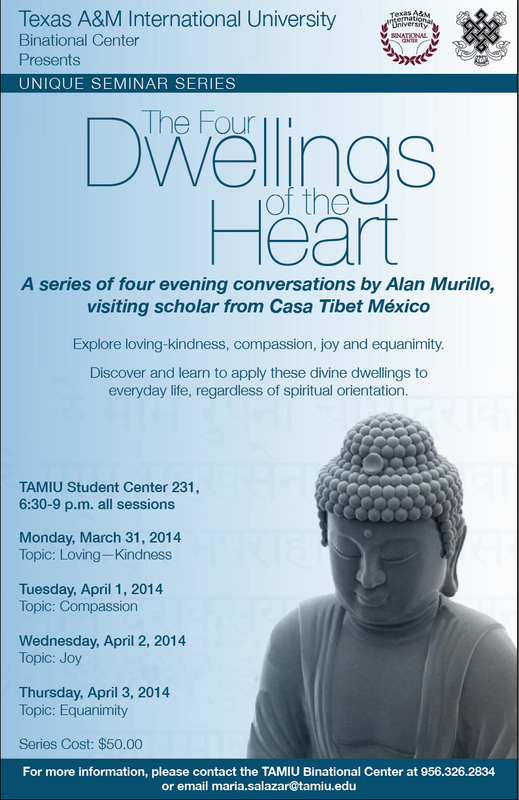 The Binational Center presents a Unique seminar series about the Four Immeasurables, also known as Brahmaviharas or the Four Dwellings of the Heart. 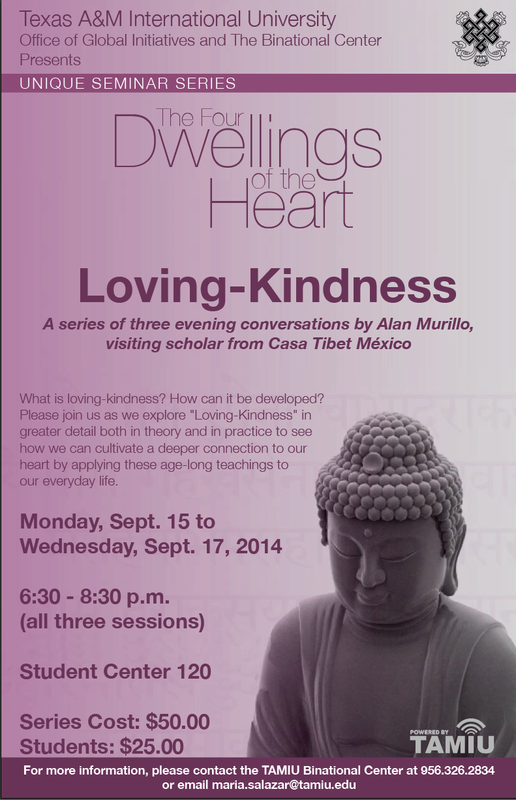 Please join us as Professor Alan Murillo of Casa Tibet Mexico, explores each of these immeasurables: Loving-kindness, Compassion, Joy, and Equanimity. To see the presentation, please click here or for more details on the event click here. This was our yearly event with Instituto Tecnologico de Nuevo Laredo, where we host about 50 of their Engineering students on topics of interest in their field of study and opportunities available to them as upcoming graduates. Some of the topics covered were "Eagle Ford: Texas Impact" presented by the Binational Eagle Ford Shale Community Porgram, "Eagle Ford: Mexico Impact" by Dr. Luis Fernando Camacho Ortegón from Universidad Autónoma de Coahuila, a presentation on working Visas for professionals by Vice Consul Virgil Carstens of the U.S. Consulate General in Nuevo Laredo, and "Opportunities in Mexico" by Ing. José Gerardo Treviño Guzmán from the City of Nuevo Laredo. 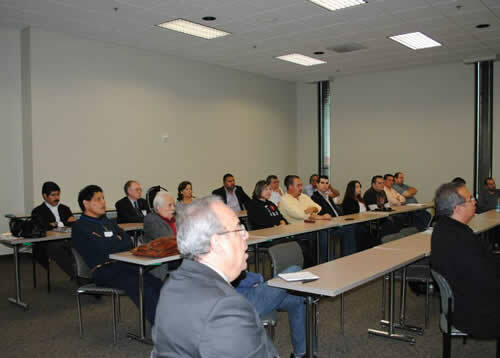 The Binational Center hosted the Energy Development Committee from the City of Nuevo Laredo for a workshop about Eagle Ford Shale case studies and all background information necessary for a better understanding of this booming phenomenon. 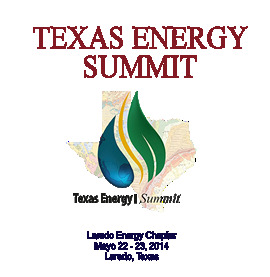 Texas Energy Summit, on its chapter Laredo Energy, will be the first international gathering point in which professionals, entrepreneurs and authorities will participate with informative conferences and an Expo (& Trade Show). In this symposium panelists will analyze investment opportunities, the supply chain, and all the ongoing aspects of Mexico’s Energy Reform. "Energy Reform in Mexico: Secondary Legislation" by Dr. Guillermo C. Domínguez Vargas, Commissioner, Comisión Nacional de Hidrocarburos (CNH). "Zonas Especiales de Desarrollo Económico en El Ecuador" by Dr. Marcos Guayasamín, Presidente & CEO, EJAL Consultoría Integral. "Mexico: An Important Global Actor" by Julio Carlos Marrón recamier, Consejero Comercial de ProMéxico en Houston. "Mexico Stands to Benefit from Reforms and Navigate Fed's Tapering with Relative Ease" by Jesús Cañas, Federal Reserve Bank of Dallas. 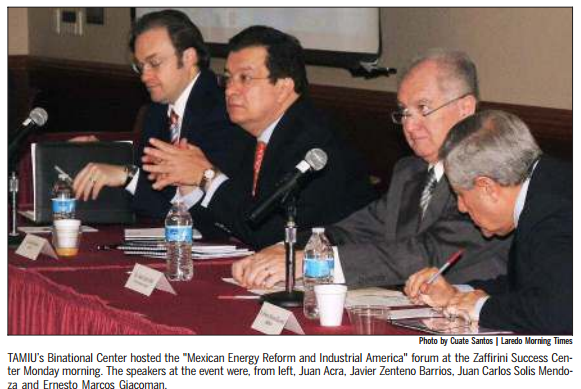 "Mexico's Economy and Energy Situation" by Jonathan Ruiz Torre, El Financiero. "Reforma Energética Legislación Secundaria" by Juan Acra, Presidente de la Comisión de Energía, COPARMEX Nacional. "La Reforma Mexicana en materia de Energía Marco Constitucional Iniciativas de Leyes Secundarias" by Javier Zenteno Barrios, Socio, Zenteno-Lira Mora Abogados. "Challenges and Strategic Services" by Dr. Rogelio Montemayor Seguy, Cluster Minero-Petrolero de Coahuila, A.C.
"Mexico Proposed Reforms for the O&G Industry" by Antonio Juárez, Director, Asociación Mexicana de Empresas de Servicios Petroleros, A.C. (AMESPAC). "Presente y Futuro del Proyecto Burgos: Activo Integral Burgos" Mexico's Economy and Energy Situation" by Ricardo Martínez Sierra, Activo Integral Burgos, Pemex Exploration and Production. "The Hydrocarbon Hat Trick: How Eagle Ford is impacting Texas" by Jesse Thompson, Regional Business Economist, The Federal Reserve Bank of Dallas, Houston Branch. "The Changing Business Environment" by Leodoro Martínez, Jr., Chairman, Eagle Ford Consortium. "Cotulla: A Case Study on Sustainable Growth" by Larry Dovalina, City Manger, Cotulla. 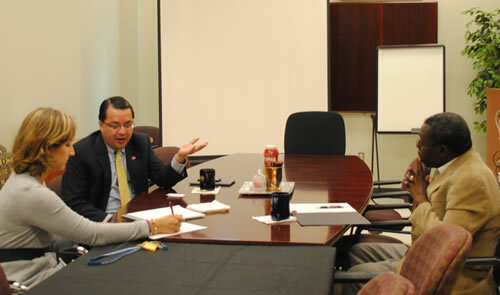 "How to Become a Stakeholder in the Port of Corpus Christi?" by Ruben Medina, Director of Business Development, Port of Corpus Christi. 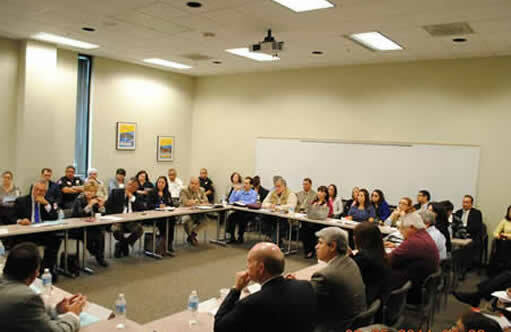 This was a conference organized by the Councils of Governments West and the Binational Center where some of the speakers included Diputada Imelda Alejandra de la Garza, Chris Wilson of the Woodrow Wilson Mexico Institute, Alberto Flores of U.S. Customs & Border Protection of the Laredo Port of Entry, Geronimo Gutierrez from Northern Ameican Development Bank, Leodoro Martinez of the Eagle Ford Consortium, Antonio Juarez from the Mexican Business Association of Petroleum Services (AMESPAC), and Maria Eugenia Calderon-Porter of the TAMIU Binational Center among others. September 10-11, 2014- 21st Annual Logistics and Manufacturing Symposium: Logistics, Manufacturing, Oil & Gas Emerging Market Opportunities on the Border and Beyond. 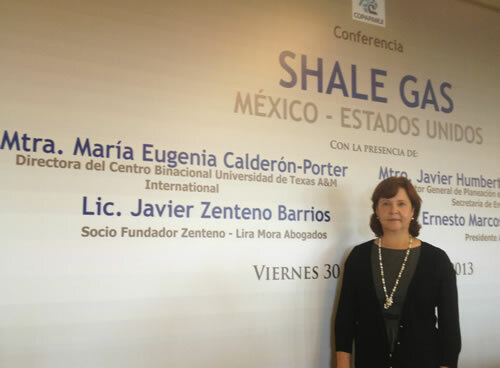 "Review of Reforms / Burgos Basin: Jiménez, Coahuila, México, New Boom Town", by Maria Eugenia Calderón-Porter, Assistant Vice President for Global Initiatives, Texas A&M International Univesity. 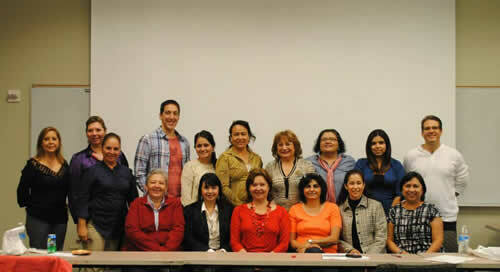 The Binational Center presents a follow-up seminar to the Four Immeasurables. What is loving-kindess? How can it be developed? Please join us as we explore "Loving-kindness" in greater detail both in theory and in practice to see how we can cultivate a deeper connection to our heart by applying these age-long teachings to our everyday life. A first-ever meeting of Mexico legislators and U.S. legislators and community members confronting the United States migrant crisis. Dubbed the 1st Binational Conference Council of Congressman and Migrants, Coordinación Nacional de Diputados y Migrantes (CONADYM by its Spanish acronym), the event is open to the public. 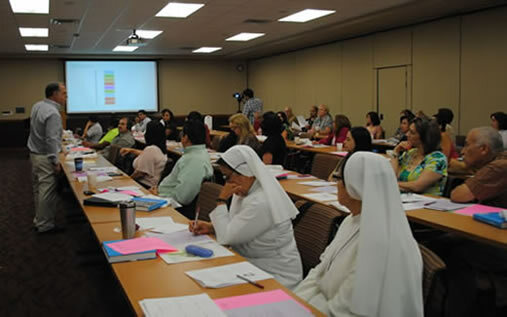 Among presentations, Rebecca Solloa, Executive Director of Catholic Social Services of Laredo and Michael Smith, Executive Director of Holding Institute, will explore "What Happens to Migrants After they Cross into the U.S.?" Dr. John Kilburn, TAMIU Associate Dean of Research and Professor of Sociology and Criminal Justice will review "The Travelers Assistance Initiative for Immigrants"
The Binational Center presents a follow-up seminar to the Four Immeasurables. This time focusing on "compassion", which is often understood as pity in our culture. However, in ancient tradition of the Buddhist teachings, compassion is something much deeper and all-encompassing. More importantly, it is a trait that can be expanded with practice. The teachings of the Buddha propose a series of easy-to-learn, yet spiritually sophisticated methodologies to work out our "compassion muscles". Please join us to learn about these tools that may be applied to any person wishing to cultivate a good heart. 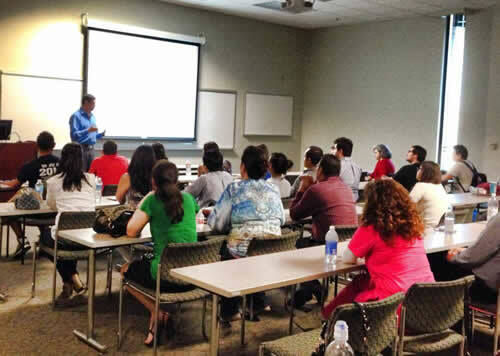 This was our first Conference for the Systems Engineering students from Instituto Tecnológico de Nuevo Laredo (ITNL). 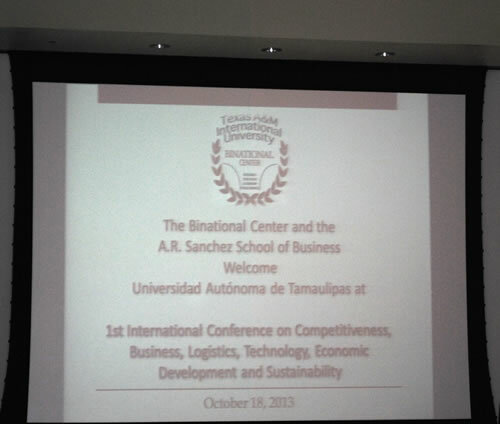 Some of the presentations included "Opportunities for Graduate Studies at TAMIU" by Suzanne Alford from the Office of Graduate Studies & Reserach and Leiza Nochebuena from the College of Business, "The Evolution of IT Services" by Ken Miyamoto from Dell, and a presentation by Dr. Heriberto Garcia from the TAMIU College of Business, as well as a panel discussion by ITNL alumni sharing their success stories in the Systems Engineering field. Following our two previous seminars on loving-kindness and compassion, we will focus on two essential tools for tapping into and expanding our heart: the joy of seeing others' happiness and the deep recognition of their yearning to be well and happy. As before, we will be using meditation and open discussion to touch our innate potential through practical exercises which anyone can learn and apply in their daily lives.